There seems to be no stopping to the magnetic pull of megacities. Yet, Valentina Doorly and Kyle Brown see a countertrend is taking shape. In 2007, for the first time in history, the global urban population exceeded the global rural population. Today, 73% of the European population lives in urban areas. Cities have long been regarded as the cultural hubs and economic engines of nation-states throughout history. The word ‘citizen’ itself, building block of western civilisation and implied agent of its progress, even stems from the Latin civitas for city. There is a well-understood and powerful link between urbanisation and economic growth, by which cities are revered as symbols of modernity, progress, and rife with opportunity for social mobility. In fact, cities across the world are responsible for over 80% of gross national product (GNP). This notion continues to support the pro-urbanisation agenda in many developing regions around the world today that assumes cities will be important in the future, since they have been in the past. Cities – as a form of social, political, and economic organisation – are regarded as necessary developments that boost global competitiveness and innovation while reducing poverty by increasing equality of opportunity. The pervasive desire to urbaniSe remains persistent across all nations, highlighted by China’s great uprooting–a plan in which the country rushes to urbanise upwards of 250 million people in its pursuit of growth. Already more people are living in urban centres than in rural areas, and this ratio is projected to widen in the coming decades. Globally, 54% of the world’s population in 2014 was living in an urban area, in contrast to 30% of the world’s population living as urban dwellers in 1950. The urban population has grown from 746 million in 1950 to 3.9 billion in 2014. As the world continues to urbanise at a rapid pace, further population growth and urbanisation are projected to add 3 billion people to the world’s urban population, leading to the development of more than 40 global megacities–each with more than 10 million inhabitants–by as early as 2030. Nearer, London’s population grew by 5.7%, between 2010 and 2015, twice the rate of the rest of UK, and is set to reach the status of megacity, with over 10 million inhabitants, within the next decade. In all corners of world, one can observe the marked development of supercities, megacorridors and megaregions – expansive networks of metropolitan areas that have strong economic linkages and that share infrastructure and multiple other social and environmental systems. The world races to urbanise, but at what cost? For all that cities have to offer, they are the manifestation of inequality and tend to maintain overwhelmingly high concentrations of poverty. According to the United Nations Population Fund, nowhere is the rise of inequality more clear than in growing urban landscapes – those in which wealthy communities coexist alongside, and distinct from, slums and informal settlements. Indeed, the total number of estimated slum dwellers has risen from 650 million in 1990 to approximately 863 million in 2012. While many abandon the rural areas and flock towards cities as aspiring urbanites in search of a better, more prosperous life, large segments of traditionally middle class urban dwellers are also being forced into more precarious living by urban sprawl and slowed economic growth on some countries, or relentlessly growing house prices in others. Urban ecosystems can be extremely rewarding for those who belong to the ‘insiders’ circles, but, by contrast, they tend to highlight the social differences and set out the losses of those left outside the hall of fame. The growth and expansion of massive megacities only further inflame the marked urban polarisation that is already occurring. The urbanisation-globalisation nexus is creating a new global urbanism that is redefining modern living: how we organise, move, interact, work, play, and shop. Yet, in spite of this and even with all of its forward momentum, urbanisation is also giving rise to a complex of contra-trends that are challenging the very notion of global urbanism and the dominance of megacities. All across Europe and the United States, a repudiation of the urbanisation-globalisation narrative is being declared with a stronger nativist message. With income levels declining or remaining flat for two-thirds of the western population over the past 10 years (2005-2015), and youth unemployment currently standing at 49% in Greece, 46.2% in Spain, 40% in Italy, and 25.9% in France, the narrative of a successful globalisation has come under fire. A widespread demand to reclaim control and national sovereignty, increase protectionism and sustainability, and boost cultural identity with a gloss of cultural nostalgia has taken hold in Europe as well as the States. The current anti-establishment political movements, scornfully branded as ‘populist’ are the political expression of this sentiment. ‘Take Back Control!’ was the successful tagline of the Brexit campaign, and ‘Make America Great Again’ was Trump’s winning mantra in the United States presidential election. As the issue of social sustainability and deepening socio-economic polarisation is giving rise to an entirely new urban underclass of citizens – the precariat, immersed in the supposedly modern volatility of work, urban environments often become a magnifying lens of social inequality. Younger, and less young, age cohorts, are beginning to look for solutions beyond major urban areas and establish lifestyles that contradict the capitalistic global urbanism driven by the urbanisation and globalisation megatrends. The prodromes of what looks like a ‘Back to Land’ movement are sprouting across Europe. Supported by a variety of enabling forces like technology development, which allows for new ways of working that are more remote and dynamic, not local and fixed, and an agenda that prioritises sustainability and health, far from increasingly polluted, urban contexts, is leading to the idolisation of nature and pushing people to the countryside to live more sustainable, natural lives. Where sun-kissed and fertile lands offer an alternative to city pressures, a silent march from city to land is underway. A visible stream of qualified and willing urbanites are eyeing up abandoned countryside properties and looking to turn them into self-sustaining organic farms. In the past three years, the agricultural colleges in Italy have recorded an unprecedented 45% increase in enrollments countrywide, with the Tuscan faculty seeing a 100% increase. In parallel, the European Funds aimed at supporting agricultural start-ups, has recorded an increase of 160% in applications for 2016, the highest level since inception. In Greece, according to opinion polls conducted by Kapa Institute last year, 68% of respondents (1.5 million people) hope to go back to the land for the main source of subsistence. Similarly, already 60,000 new jobs appear to have been created over the last three years in the agricultural space. Some rural villages across Southern Europe are beginning to repopulate through initiatives from local authorities, like in Sardinia, Italy, where the municipalities have been selling off properties of abandoned villages for the symbolic price of one euro. In France, ‘Retour à la terre’ (return to the land) is becoming a prominent theme, debated through intellectual lenses of digital blogs and literature, while in Austria and Germany the ‘Stadtflucht’ (running from cities) is gaining traction, according to the Vienna Institute of Demography. The Institute notes that slight population growth in the countryside started to appear in 2014, stating that the move to the countryside is not only driven by lower costs of living, but a ‘longing for clarity’ and a rejection of the intrinsic instability and volatility of globalised, urban living. 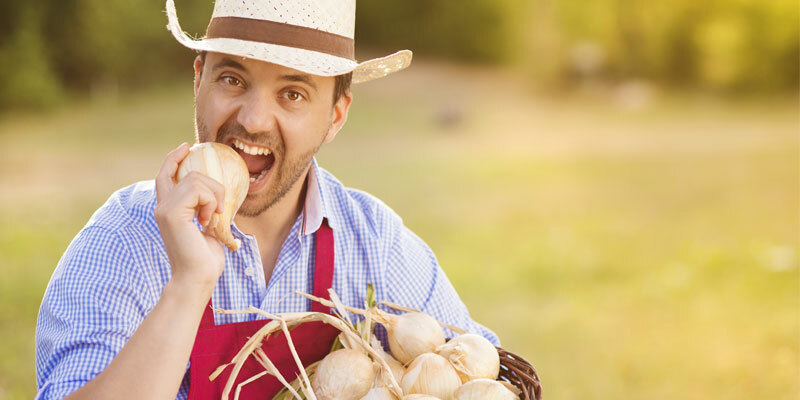 Educated and brand aware, connected and quality driven, the new generation of agri‑food start-ups come with strong propositions: rediscovering and cultivating excellence that typifies a territory, while also being customer-centric and sensitive to the market demands. Innovation in renewable energy is also well-ingrained in this movement, with areas in Austria and north of Italy that have already achieved 92% of total energy supply coming from renewable sources. The romantic appeal of a bucolic, grounded life is also being reflected at consumer level, with the steady yearning for ‘farm to fork’ initiatives and locally produced products sweeping over our cities. The term ‘local’ has indeed changed semantic meaning, from national to regional, and is now coming to mean, quite literally, local, possibly coming for the nearby farm. Where the myth of the Supercity, with its luring promising of success, went on, unchallenged for generations, much of what we deemed unquestionable, like favouring the city life over the deafening silence of rural areas, is being put under scrutiny. One can choose to keep riding the urbanisation wave, or walk away, by joining others who are returning back to land. In any case, the contrast is set to become more apparent in the coming years, and many of us may reconsider what looked like the obvious choice of Monopoly: a property in Shrewsbury Road?